Just 300 m from the entrance to Kondalilla Falls National Park. It offers accommodation with a double spa bath, a fireplace and a private balcony with lovely park views. All air-conditioned cottages have a living room with a TV, a DVD player and an iPod docking station. 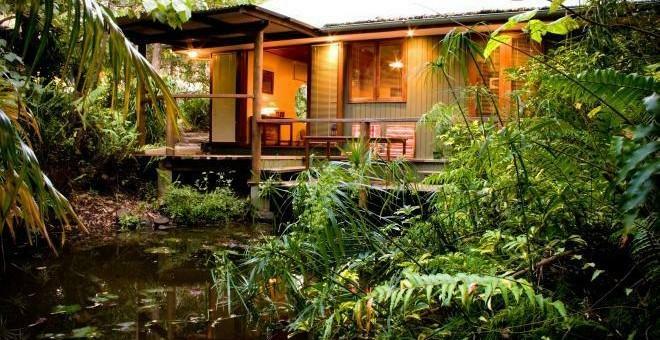 Nestled in the Sunshine Coast hinterland, Hunchy Hideaway offers fully self-contained cottages, plus a spa bath and log fire in each cottage. Guests receive a breakfast hamper with provisions for their first 2 mornings, as well as home-made scones with jam and cream for afternoon tea upon arrival. Offering secluded accommodation surrounded by rainforest, Kondalilla Eco Resort is 5 minutes' drive from the town centre. All accommodation features a fireplace and a spa bath. Free private parking is provided onsite. 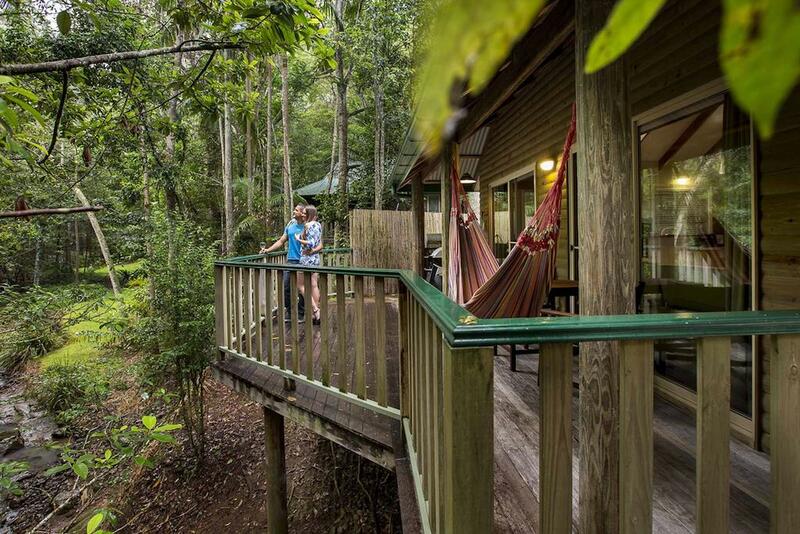 Some accommodation features a patio deck offering stunning rainforest views. 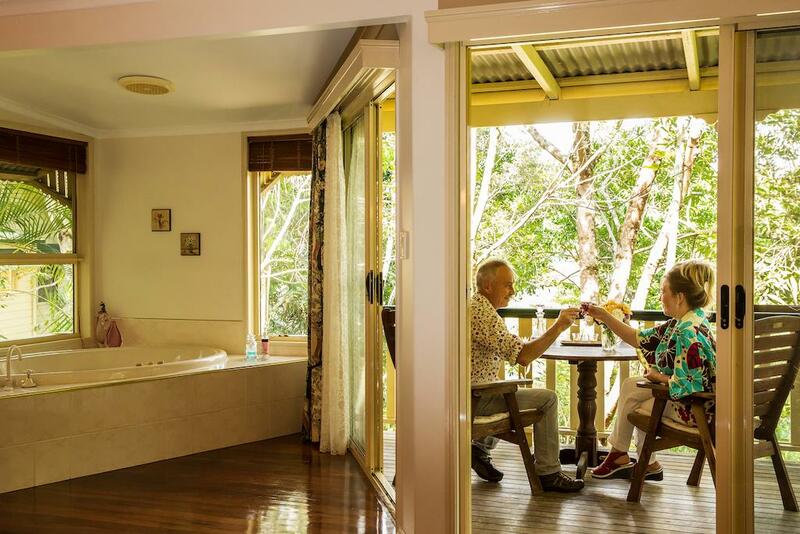 Located near Lake Baroon, Narrows Escape Rainforest Retreat offers modern accommodation, a luxurious spa and wellness centre and free parking. 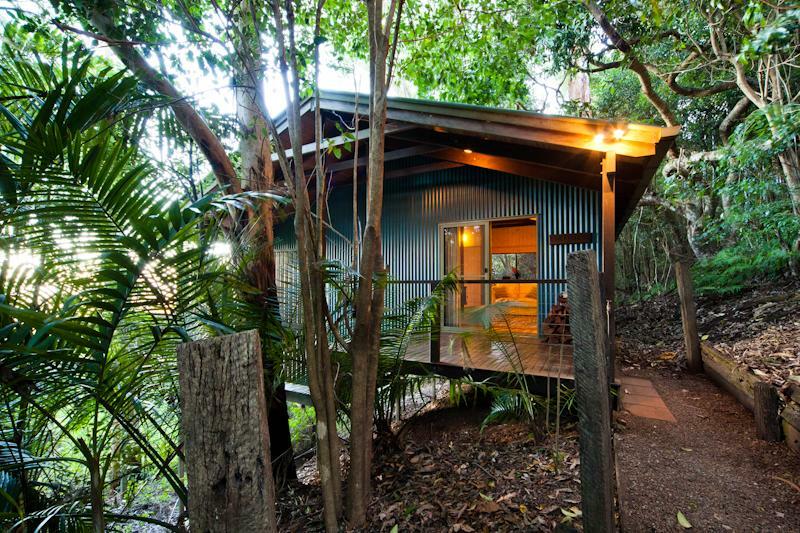 Narrows Escape Rainforest Retreat has spacious cottages fitted with en suite bathrooms, a lounge area and well-equipped kitchen. 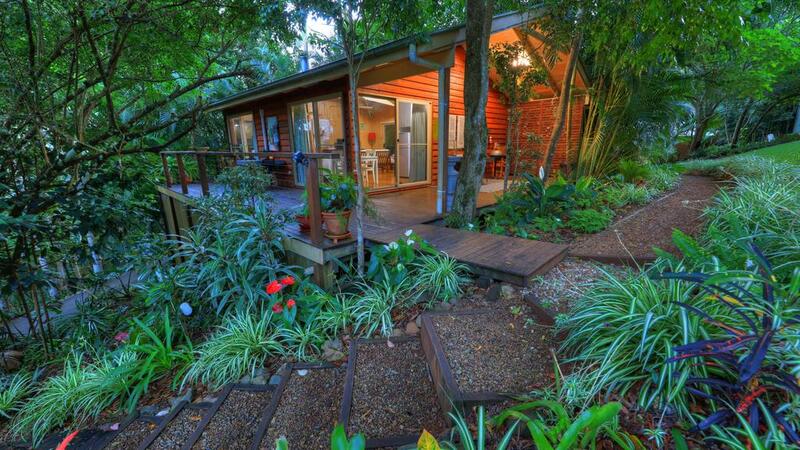 Nestled in the Sunshine Coast Hinterland. 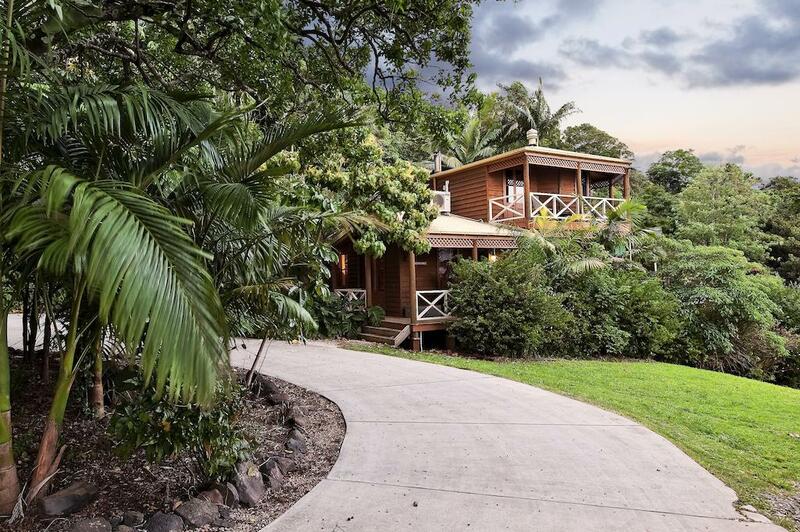 All boast a fireplace and a balcony offering views over Lake Baroon. Some accommodation features a spa bath. All accommodation features a kitchenette or kitchen, outdoor furniture and BBQ facilities. Guests receive a basket of breakfast provisions upon arrival. This 5-star luxury property is situated in the Sunshine Coast, of Montville, Australia. Grand figs, shaded jacarandas and groves of magnolias and gardenias frame the stunning French-provincial architecture of the main guest house, which offers a variety of suites that are luxuriously furnished. The Falls Montville is 3 minutes’ drive from Montville’s shops, restaurants, cafes and galleries. 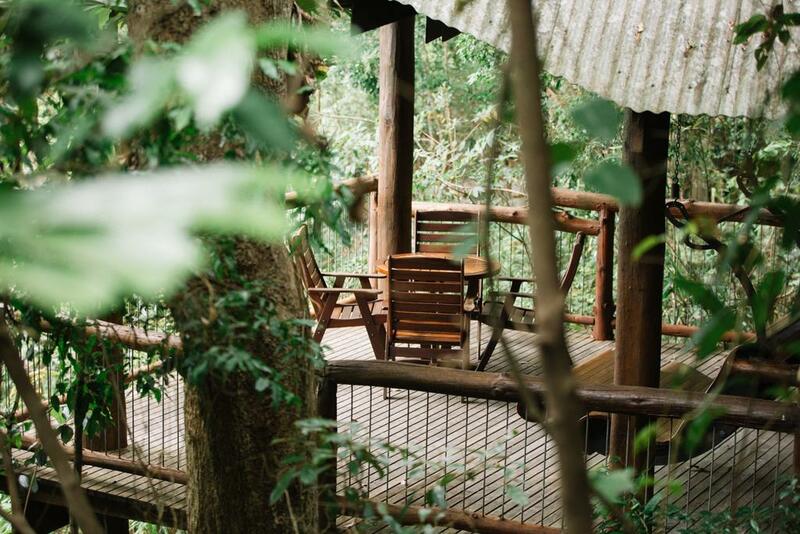 The retreat has 6 secluded Rainforest Cottages for 2 adults and a Manor House for a maximum of 4-8 guests. Guests enjoy daily room service, rural settings and valley views, a welcome drink, free onsite parking and assistance with luggage. 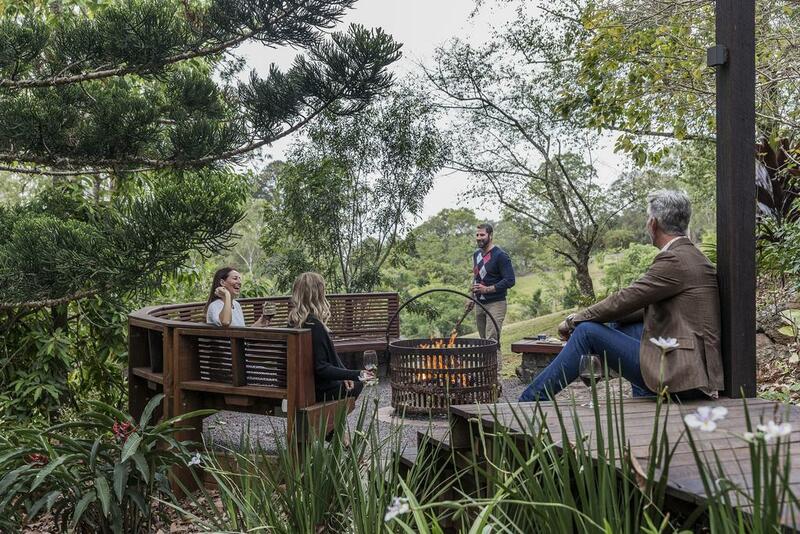 Treetops Montville boasts accommodation with a fireplace and spa bath. Guests enjoy stunning mountain views and complimentary champagne upon arrival.All air-conditioned, individual and private rooms feature a balcony and an outdoor dining area. 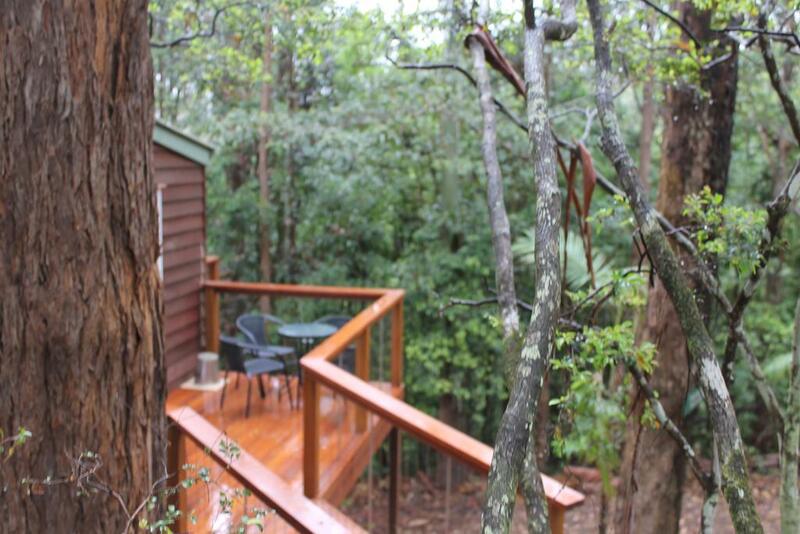 Perched on the edge of an escarpment, Treetops Seaview Montville offers tree houses with a spa bath and a fireplace. Guests enjoy a free daily breakfast hamper. Each air-conditioned tree house features a fully equipped kitchen and a dining/lounge area with a flat-screen TV and a DVD player.